Welcome back to the Riley Replica’s blog! Today I want to share my experience with being featured on Travel Channel’s Making Monsters! The show follows the company Distortions Unlimited, owned and operated by Ed and Marsha Edmunds. 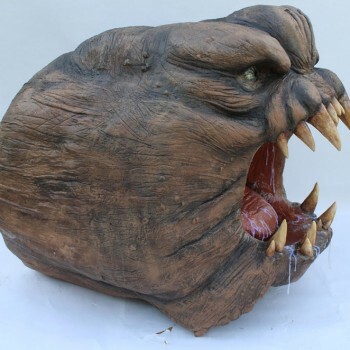 Distortions Unlimited has been making Halloween props for well over 30 years. 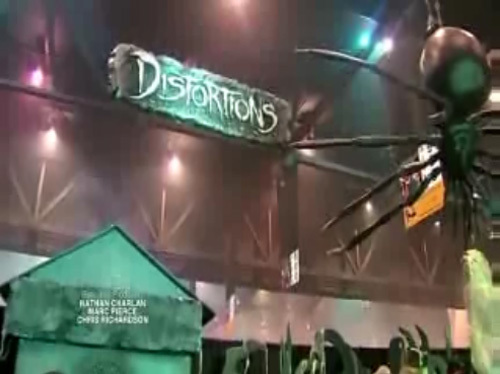 If you have been to a haunted house chances are you have seen their work! I was contacted by Ed because he was impressed by my portfolio of foam work. Ed needed someone that could make signs for his trade show booth. He needed 2 signs created out of a lightweight material so that they could be hung above the booth. I was flown out to Distortions studio in Colorado and as I walked into the studio I felt completely out of my element! After arriving at the studio, I sat down with Ed and Marsha and we discussed the details of the foam signs I would be creating over the next 3 days. After Ed showed me the foam I would be working with I knew it was going to be a long 3 days 🙂 The foam I use is very soft and easy to carve, but this foam was VERY dense. It was like trying to carve wood! You can catch that part of the discussion with Ed in the short video clip at the top of the page! As I worked with Ed, he explained that he was used to working in clay and was unfamiliar with working in foam. Working in clay has many advantages, because a mold can be created of the piece and allows the sculptor to make multiple copies of an item. However, the downside is this method is not efficient if the sculptor is making a one of a kind item. It takes a lot of time and expense just to create a “one off” item. Working in Styrofoam is an ideal medium for situations like this! Due to the density of the foam, I did have problems with using my sculpting tools. However with enough persistence, I was able to soldier on and get the work done! After 3 days I completed a large 6 ft tall tombstone and two 8 ft long signs that Distortions Unlimited used at the trade show. 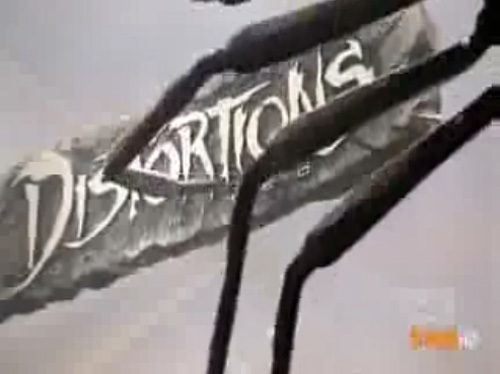 Working with the Distortions Unlimited team was a great experience! I was very pleased with how the signs and tombstones looked at the trade show booth. You can see the gallery below of some screenshots from the trade show. Ed and Marsha are great people and I look forward to working with them again in the future! Want to stay up to date on what’s happening at Riley Replicas? Sign up below!